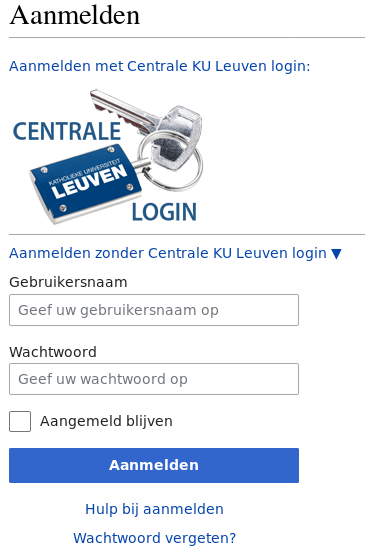 MediaWikiShibboleth is a MediaWiki extension created by ULYSSIS to allow for Shibboleth (Centrale KU Leuven) login. The extension disables editing and creating of (talk) pages by anonymous users, and requires Shibboleth authentication for account creation and login. in <mediawiki installation folder>/extensions/MediaWikiShibboleth/extension.json. 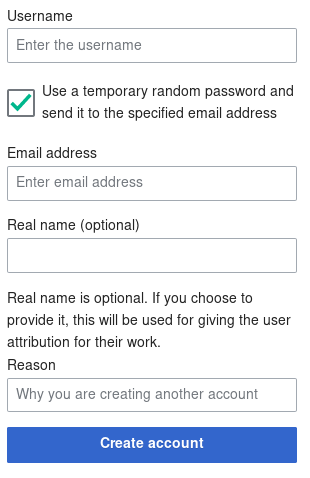 If you combine this option with "Restricting access to logged-in users only", only students will be able to view, log in and edit your wiki. in <mediawiki installation folder>/extensions/MediaWikiShibboleth/extension.json. You can add as many KUL ids as you like, separated by a comma. in <mediawiki installation folder>/extensions/MediaWikiShibboleth/extension.json. You can add as many degree numbers as you like, separated by a comma.